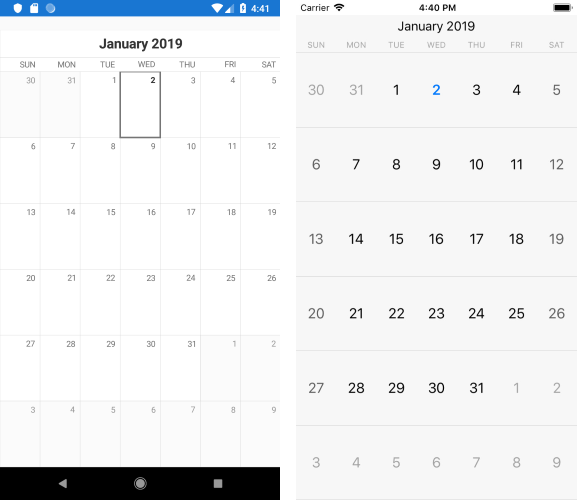 In order to make any further customizations on RadCalendar control that is not provided from the Xamarin.Forms API, you will need a custom renderer. This article will show how you could change the Calendar Month name to be uppercase through custom renderers on Android and iOS. That's all on the shared project. Create another class that takes that inherits from Java.Lang.Object and IProcedure interface and inside the Apply method implement your custom logic for changing the Calendar DayName Text to be uppercase.